Lynn Brinkley serves as Director of Student Services and Alumni Relations at Campbell University Divinity School in Buies Creek, NC. She has been in this position since 2007. 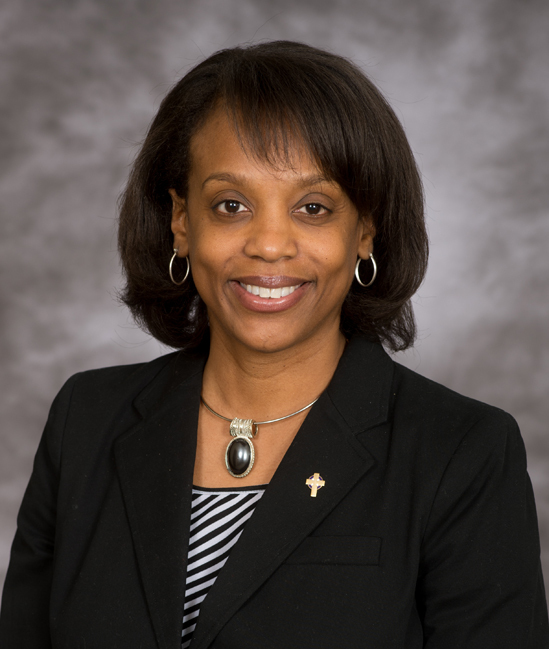 As Director of Student Services and Alumni Relations, Lynn has the opportunity to minister to students as chaplain, advocate, fellowship coordinator and friend. Lynn’s favorite days are Tuesdays and Thursdays when the majority of our students are in Taylor Hall. Lynn is also an adjunct instructor for the undergraduate Religion Department and the Divinity School. Lynn recently published her new book titled, Manners and Money: A Manual on Preaching Etiquette which addresses proper pulpit decorum and hospitality towards guest ministers. Lynn is an ordained associate minister at First Baptist Church of Clinton, NC and also serves on the national Baptist Women in Ministry board. Lynn is regularly called upon to preach and teach in churches of diverse denominations across North Carolina. Lynn resides in Fayetteville, North Carolina with her daughter, Taylor.